Set apart in its own secluded hilltop woodland estate of more than 300 acres just east of Bowral in the beautiful Southern Highlands of New South Wales, Milton Park Country House Hotel & Spa is now a five star hotel. 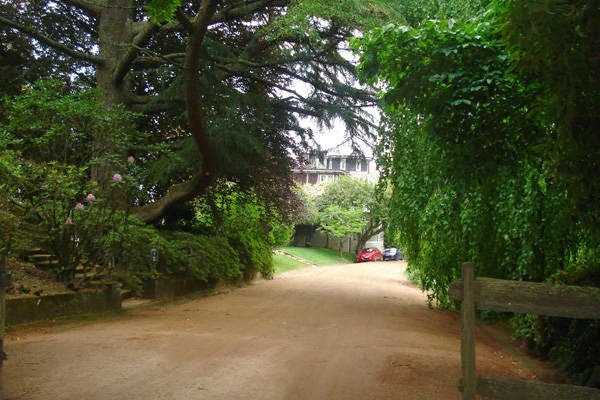 Milton Park Country House Hotel has a grand history. Originally known as Mansfield Farm, it was purchased by Sydney retailer, grazier and stock breeder, Anthony Hordern, in 1910. 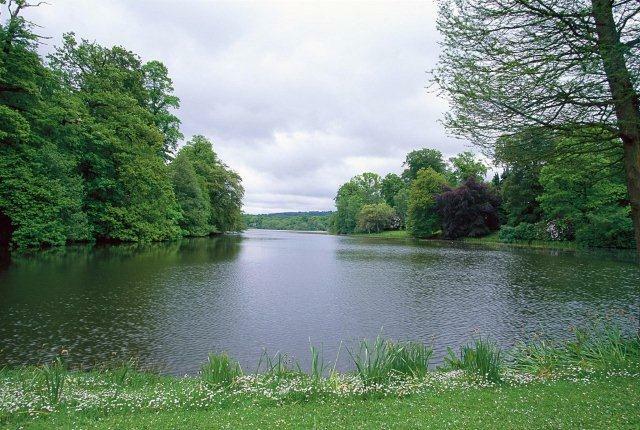 The adjoining 5000-hectare Retford Park was owned by his father, Sam Hordern. The heart of the hotel is the mansion, designed by Morrow and de Putron. It demonstrates Federation arts and crafts and has rendered and shingled walls, hipped and gabled roofs, tall chimneys and nouveau detailing. In 1961, the property was sold to the King Ranch Company of Texas who set it up as a showpiece for their stud quarter horse and Santa Gertrudis cattle breeding enterprise. 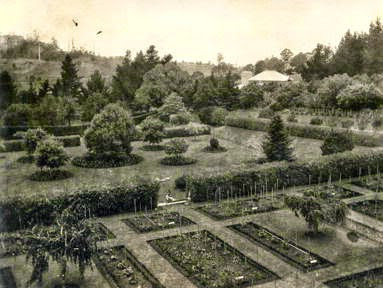 Edwina Hordern, one of Anthony’s daughters, and her husband lived in the house and continued to maintain the garden. By 1984, the property was considered financially unviable and was divided into 40-hectare lots which were later sold, leaving the homestead and a four-hectare garden. A further 120 hectares comprised the original home, farm, cottages and outbuildings. It was purchased by a consortium and converted into an international standard hotel. 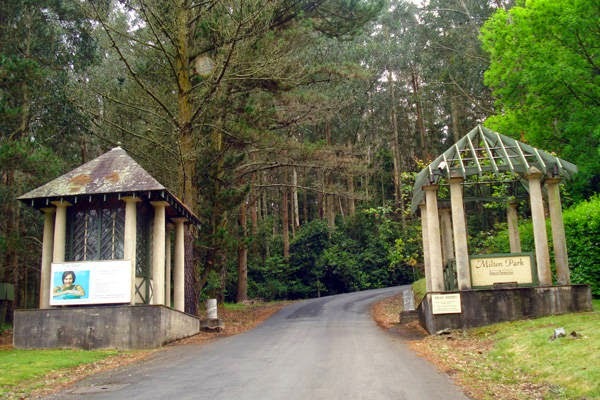 It was sold again in 1989 and the new owner spent $14 million expanding the property to 340 hectares. His plans failed when an investor failed to materialise and the property was sold to Aman Resorts in 1993. Luxury Hoteliers Aman Resorts became a member of the exclusive Relais & Chateaux collection, which includes only the finest luxury hotels from around the globe. In 1998 Milton Park was purchased privately by the Dobler Family and the owners have refurbished the estate, the hotel and the gardens to their current magnificent state giving it added touches of comfort and luxury. There are 47 rooms, including seven suites, and it has the ambience of an opulent Victorian stately home. Garden Courtyard Rooms, Tower Suites and Forest Suites feature antique and period furnishings. Some suites have gas log fires, ensuite spa baths, private terraces, four-poster beds and bay windows. Milton Park was built in 1911 by Anthony Horden (1889-1970) and named after the town of Milton on the south coast which was founded by his maternal grandfather, John Booth. The architects were Morrow & De Putron of Sydney. 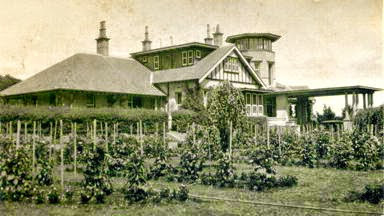 The mansion was the focus of entertainment for many members of the Sydney “social set” of the time. 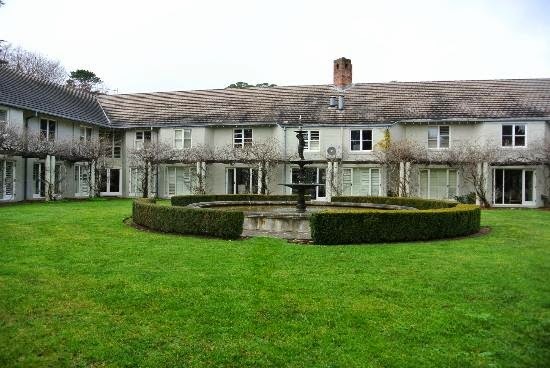 After the death of Anthony Hordern III’s first wife, Viola, in 1929 and following his marriage in 1932 to Ursula Mary Bullmore, changes were made to the house as well as the gardens. 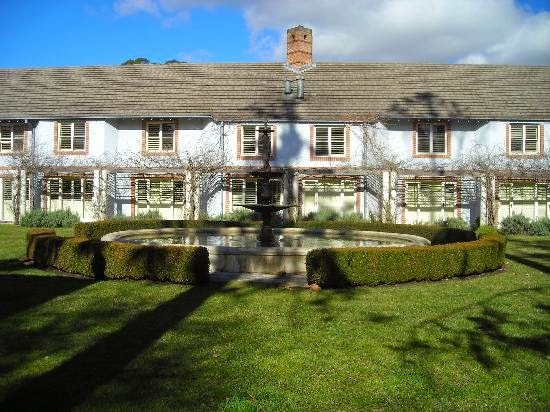 From 1960-1976 Milton Park was owned by King Ranch (Aust) P/L but Mr P Baillieu and his wife Edwina, a daughter of the Horderns lived there. From 1977 until 1984 the Baillieus remained at Milton Park. In 1984 the property was sold and the then new owners, Drs Ron White and John Cooper initiated a program to establish the house as the core of a country house hotel resort. 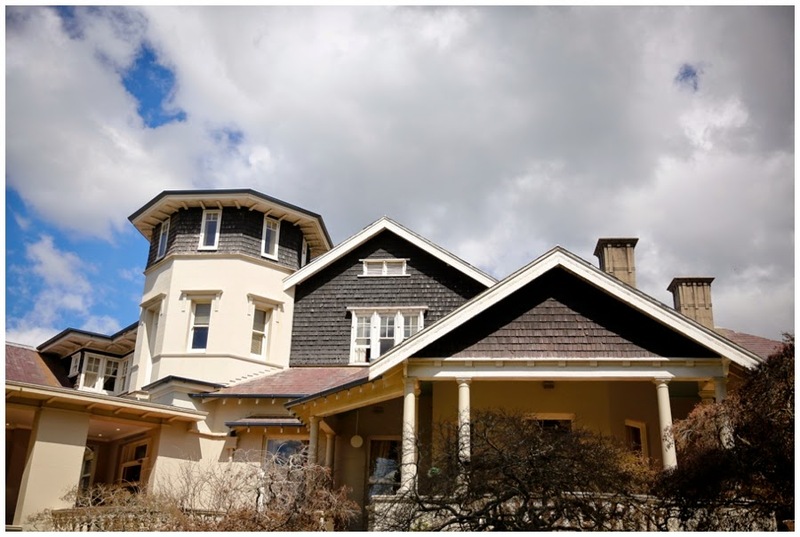 A picturesque Federation bungalow with European influences and Art Nouveau detailing. The deep verandahs have marble floors and steps, the walls are grey cement render. The roofs have big hips with an unusual octagonal tower. Modifications and dates: The mansion’s original “Tudoresque” external embellishment was replaced with the more fashionable shingle treatment seen today about 20 years after it was completed. The addition of a family room on the eastern side (c1960’s) to main house. New accommodation wings (1980’s), designed by the architectural firm Phillip Cox and Partners, were added for Hotel guest Suites. Listed by The Royal Institute of Australian Architects. Listed in the Local Environmental Plan for Wingecarribee, 1989. The heart of the hotel is a grand mansion, built at the turn of the 20th century by the Hordern Family of retail & pastoral fame. 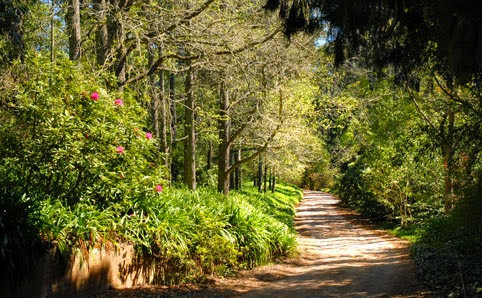 The estate offers breathtaking views to the horizon in every direction over gardens that are arguably Australia’s finest and that have inspired painters and writers since the early 1800’s. There was once a Golden Era, when Sydney’s wealthy and successful fled the heat of the city to the privacy, comfort and invigorating climate of their Southern Highlands retreats. There, behind imposing gates, up tree-lined driveways, they enjoyed a lifestyle of gentle, relaxed pleasure, eating and drinking well, playing tennis and croquet, watching a season pass in splendid gardens, taking the occasional bracing walk, and returning to the comfort of an open hearth and attentive, discreet service. Milton Park is an early twentieth century homestead complex with a significant large homestead of the Federation Arts and Crafts style constructed in 1910, a significant large garden of an Edwardian style, primarily established in the 1930s, and outbuildings. Milton Park Garden and Homestead exhibit a design style of exceptional interest: the homestead demonstrates the Federation Arts and Crafts style, with rendered and shingled walls, hipped and gabled roofs, tall chimneys and Art Noveau detailing; while the gardens demonstrate the Edwardian style with both Arts and Crafts and English Flower Garden characteristics demonstrated by the herbaceous border, the compartmentalised areas, sunken garden, walled areas, stone steps and topiary. Milton Park gardens and homestead demonstrate exceptional design in the unusual large homestead with its well integrated Porte Cochere, verandahs and period detailing; the garden layout with distinct areas and garden themes linked by curving paths; the contrived vistas from the garden and house; and the complementing stylistic interpretation of house and garden also display creative achievement. The place is rich in cultural features including ornate metal gates, feature garden areas with ponds, statues, and grafted and espaliered plants, the architectural detailing of the building; and the contrived vistas of the natural landscape. 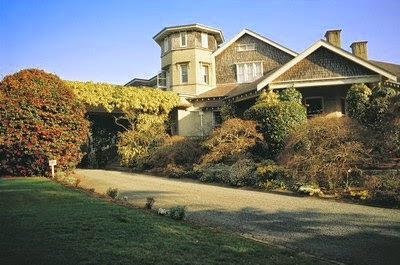 Milton Park was established in 1910 on a hillside property of rich volcanic soils formerly called Mansfield Farm. It was built by Anthony Hordern who named it after the south coast town of Milton which was founded by his maternal grandfather, John Booth. The architects Morrow and de Putron of Sydney designed a mansion of Federation Arts and Crafts style with Art Nouveau detailing, deep verandahs with marble floors and steps and cement rendered walls. Trees consisting of Ash, Elm, Maple and Beech were imported from England to initially establish the garden but the garden was redesigned in 1932 by Mrs Mary Hordern who removed hedges and trees to create the long curves and sweeping vistas of today. 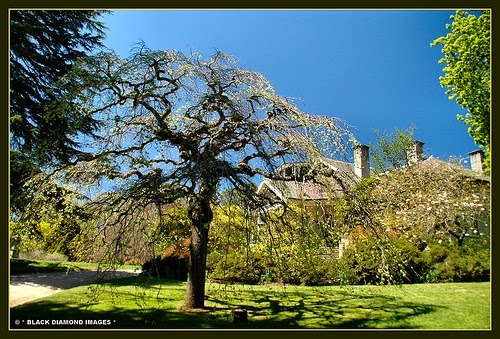 During the 1930s special trees were imported and certain plants grafted and espaliered for effect. The garden is grand, of an Edwardian style which exhibits Arts and Crafts characteristics with compartmentalised areas having distinct themes. These areas are separated by changes in levels and tree screens. The garden has a number of features including the sunken garden with its cross shaped pond, an herbaceous border, roses trained on hoops, a walled rose garden in a box hedged parterre, topiary birds, a waterfall pool, an oak grove and ornate iron gates. As well the garden has enframmed vistas which overlook forested hills. The grounds are undulating and tree clad, and farm outbuildings and workers’ cottages are dispersed to the east and south of the homestead. The tree clad grounds provide the attractive setting for the homestead and garden. 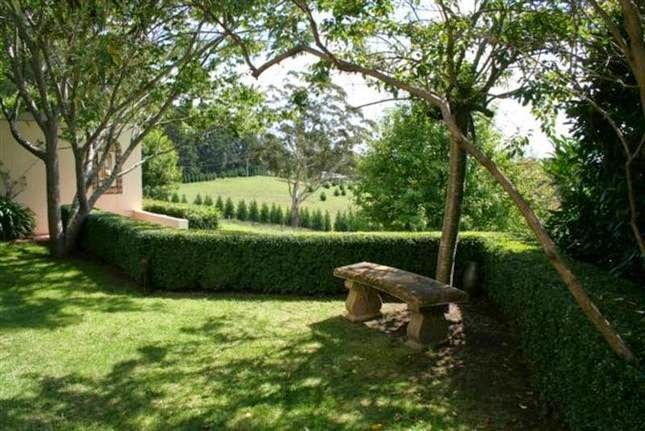 Milton Park Homestead is used for commercial purposes and the 10ha gardens are amongst the most well known of the Australian gardens. They are open each year to the public for one month in Spring. 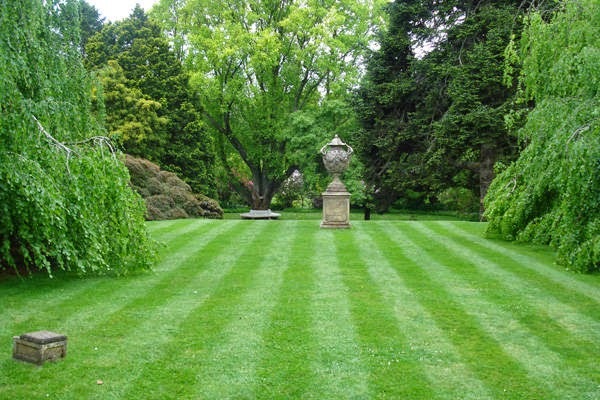 Milton Park’s world renowned garden was designed by the English School of Landscape and remains the only work undertaken outside of Europe by that esteemed academy. Anthony Hordern travelled extensively and had the means, interest, knowledge & international contacts to collect many rare specimens of trees that were totally unknown in the Southern Hemisphere. Many (trees) remain the oldest of their species outside of Europe. They included Oaks, Elms, Beeches, Maples and Rhododendrons. In fact the three giant Weeping Beeches on the lawn to the North of the house are the oldest in Australia and 30 years older than similar specimens in Sydney’s Royal Botanic Gardens. 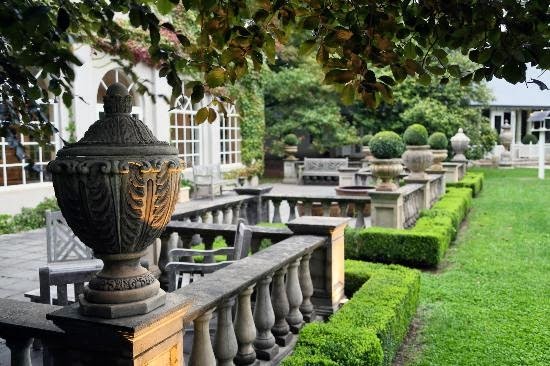 The garden Anthony initially laid out was typically Edwardian with formal geometric beds and low clipped hedges, a series of garden rooms with carefully controlled vistas leading to various formal features. Viola Hordern died in 1929 and in 1932 Anthony married Mary Bullmore Packer. The garden today is largely due to her inspiration and vision. 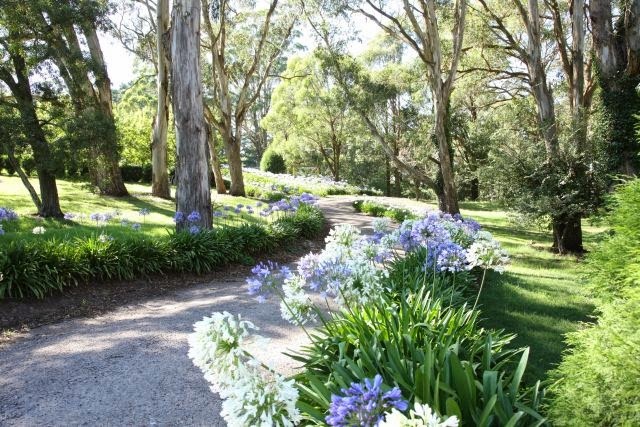 Milton Park gardens are directly associated with the Hordern family and the use of the property as a rural retreat. 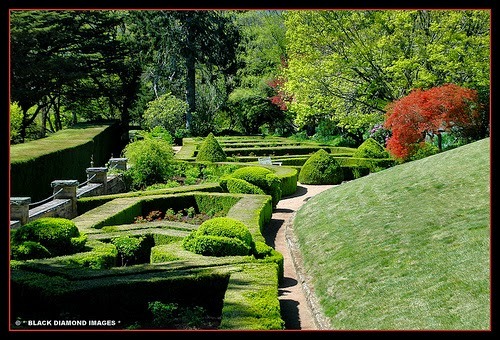 In terms of size and planting, they are unmatched by the other country houses in the Southern Highlands. They are significant for the extensive and excellent use of many exotic plant species, particularly Rhododendrons. The selection of species used in the garden displays innovation horticulturally as many species were planted for the first time in the region at Milton Park. The weeping Beeches are believed to be the first planted in Australia. Although the gardens have evolved over a period of time, much of the 1930s layout remains intact and of significance through these design attributes. This garden is highly regarded by the garden community in the State and enjoyed by visitors to the hotel. The gardens occupy a magnificent site on a hill slope of rich volcanic soils which have promoted a lush and beautiful cool climate garden. The site has commanding views of the surrounding pastures and rolling wooded hills. more than 5,000 maples; several hundred rhododendron and camellia; nearly 400 metres of box hedge surrounding 400 rose bushes; and an avenue of elms. There are also many rare individual plant specimens such as excellent examples of cedrus deodara, liriodendron, faxinus and lilmus. 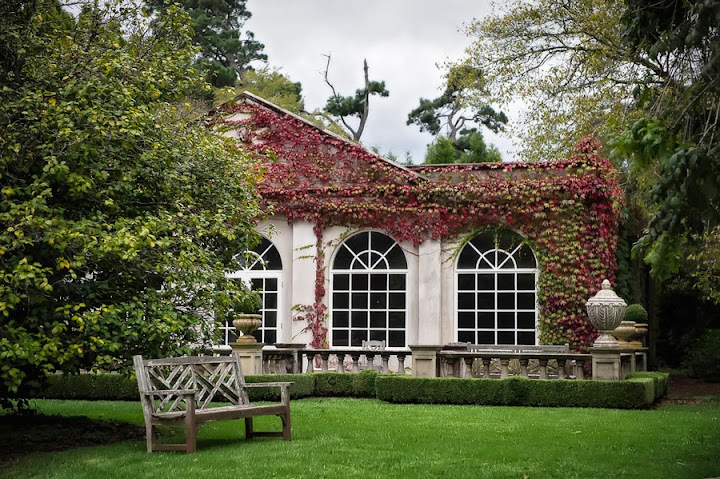 Notable specimens on the terrace below the house include a central crowned liriodendron and 4 pollarded fraxinus surrounded by rhododendron beds, the cedrus immediately outside the entrance and the weeping beeches adjacent. 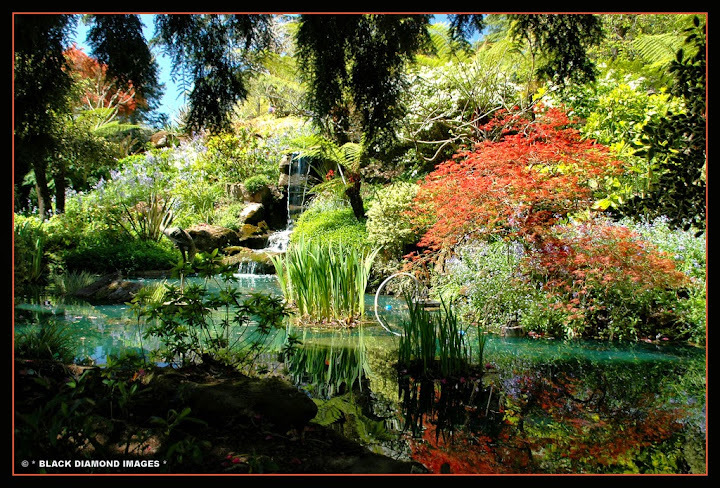 The garden is best described as a series of individual spaces divided by mature bed plantings of acer, rhododendron and cornus, or stone wall and paved stone pathways that snake through the ground under the mature cedars, cupressus and pinus. 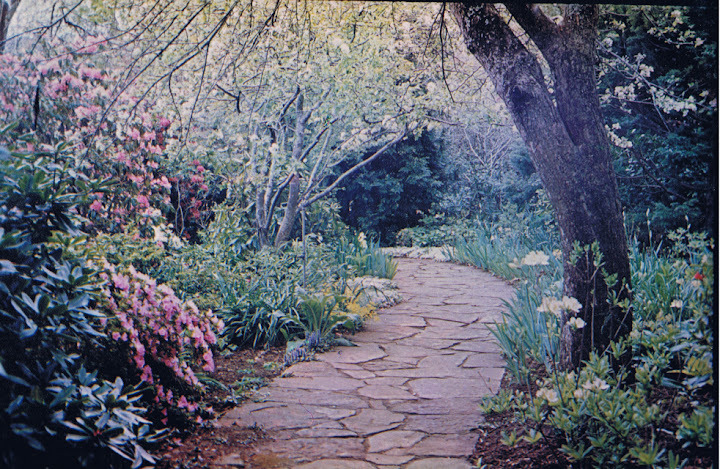 The use of local stone in the walls and pathways lend a strong natural character to the largely exotic garden. Throughout the garden objects such as statues and urns are commonly used. All beds have strong edge definition against the lawn areas which are quite extensive. The use of water is also significant with a number of water features throughout the site. 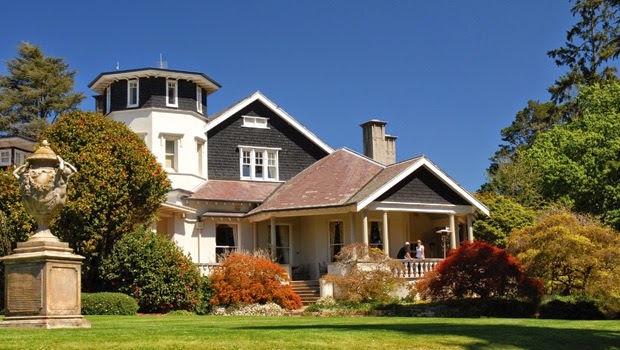 As wealthy merchants and graziers, members of the extended Hordern family owned and built many important, and now heritage-listed, homes in Sydney and the Southern Highlands of New South Wales. Family homes often carried names such as “Retford” celebrating the Hordern family links to Retford in Nottinghamshire, England, and “Stramshall”, the birthplace of Anthony Hordern. Retford Hall, in Darling Point, was built by Anthony Hordern II in 1865 to a design by Edmund Blacket and was demolished just over one hundred years later. 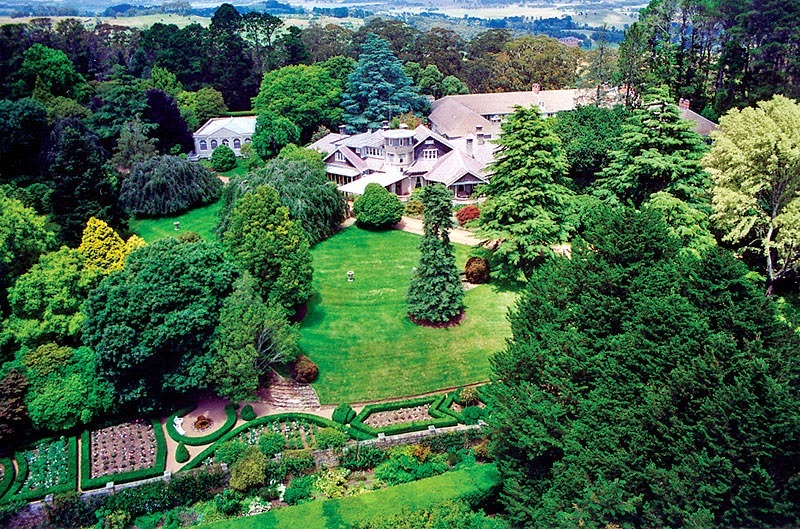 Retford Park, in Bowral, was built in 1887 and was owned by three generations of Samuel Horderns until 1960. 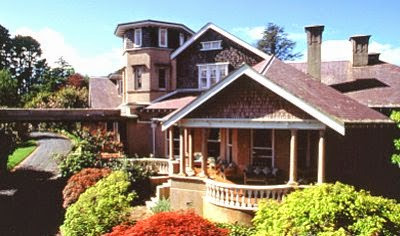 The Highlands, in Wahroonga, was commissioned in the 1890s by Alfred James Hordern and was designed by John Horbury Hunt. 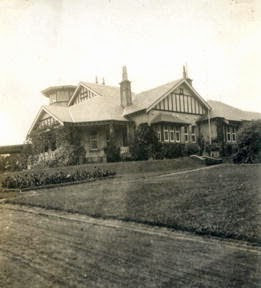 Tuxedo in Strathfield, was an early home of Sir Samuel Hordern and is also thought to have been designed by Horbury Hunt. Babworth House in Darling Point, was the second home of Sir Samuel. It was designed by Morrow & de Putron in 1912 and is located in substantial harbourside grounds. In 2004 the house was adapted into 5 large apartments. Jenner House, in Potts Point, was originally known as “Stramshall”, and was built by Lebbeus Hordern in 1871 to a design by Edmund Blacket. It was later added to by the architect Thomas Rowe. Shubra Hall, in Croydon, is the oldest building on the campus of the Presbyterian Ladies’ College, Sydney, and was the home of Anthony Hordern III. Zanobi, in Petersham, was given to Percy Hordern as a wedding present from his family. 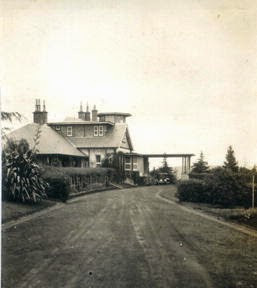 Kalua at Palm Beach, was owned by the Hordern family from its construction in the 1920s until 1978.